2. Computing the optimal road trip across the U.S. These blogs talk about an epic journey taken across all the states in the USA to visit every state capitol building. The travelling salesman problem is very well studied in computer science. It is a NP Hard problem meaning the solution to this problem is not linear in time. 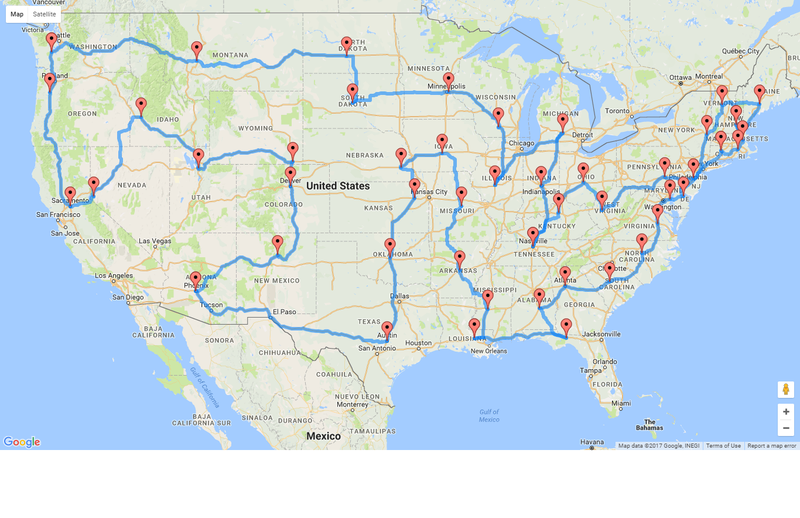 The definition of the travelling salesman problem as given by Wikipedia is "Given a list of cities and the distances between each pair of cities, what is the shortest possible route that visits each city exactly once and returns to the origin city?" I took the code available at the github location mentioned on Randy's website and just applied the same algorithm to a different set of data points. This throws up interesting scenarios. If we decide to take the shortest path to visit all the state legislatures in India it pretty much follows a border path. Comparing the US and India visit to all state capitols and state legislatures route throws up a lot of interesting conclusions. Although very evident it had never come to my notice that except the states of Madhya Pradesh and Chattisgarh every state either shares a border with a neighboring country or with the sea. Which essentially means the entire geography of India does not have any central states. The route shows how this route really just traces the border. The US States are well spread out east-west and north-south. The shape of the country is rectangular to generalize. But the route especially in the central states zig zags especially around the central region. The next article in this region will try to talk about the minimum time to visit every state legislature making this a more realistic tour to be undertaken. Drop us an email or leave a comment and I can send you an interactive version of the India map. For once I have been on the same trip to India and I have been able to see many historical places there. They were good enough to tell that India is being having a great history to know. I am pretty sure that it took you a really good time to see all these places in India which seems to be a huge place. I really want to know more about the history of this country from you. When people ready to go to visit any new place then they kept maps with them to reach their safely. 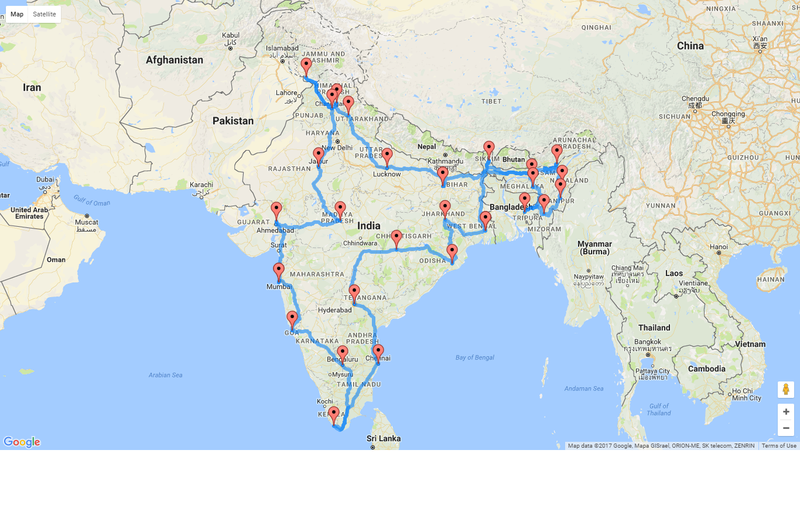 This article is also about some maps site like this https://eliteassignmenthelp.com/buy-assignments-online tracks of India, so if you are going to visit India in future then read this carefully. This is a truly good site post. Not too many people would actually. the way you just did. I am really impressed that there is so much information about this subject that have been uncovered and you’ve done your best, with so much class.